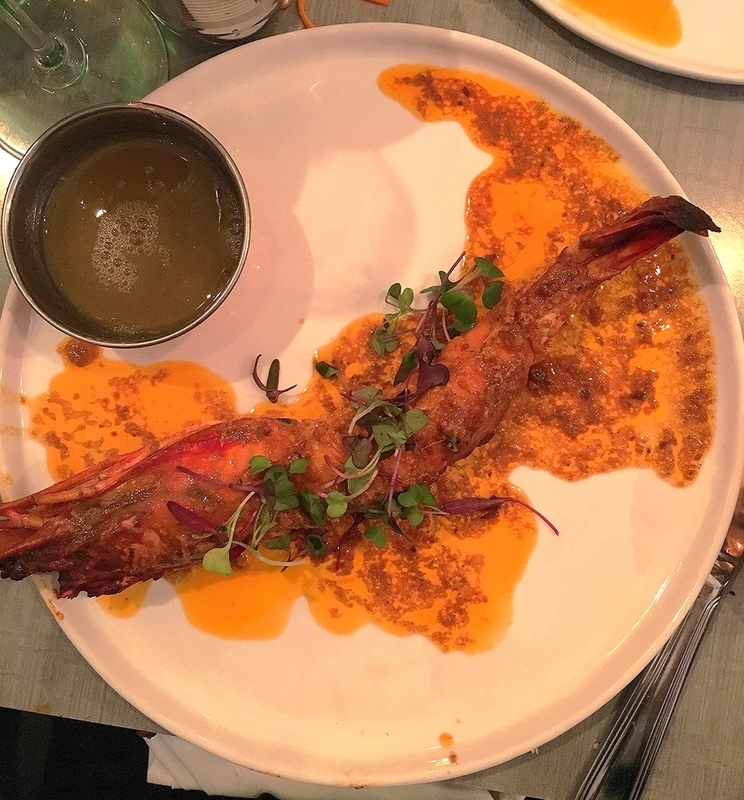 Babu Ji has been on my must-try list for a while now, so I was excited to go the other night with my husband. Our consumption of Indian food usually involves delivery, so this was a welcome improvement. If you make a reservation at Babu Ji, then you must get the chef's table menu, which is a tasting menu chosen by the chef. My husband has had that before (and thoroughly enjoyed it), but this time we wanted to choose a la carte, so we walked in right when they opened before they got crowded. According to their site, the Hindu term Babu Ji refers to someone with a "mayor of the block" type personality, and they have successfully created a restaurant with that ethos & vibe. The menu offers a nice mix of Indian street food, regional curries & Tandoori specialties, all of which are made with high quality ingredients. Several of their items are also vegan and/or gluten free, so it's an enjoyable meal for almost everyone. We each got their housemade specialty (kulfi on a stick!) for dessert, which ended the meal on the perfect sweet note! Scroll through below for a peek at our flavorful dinner!